To be even reading this section on Wm Morris bathrooms means you are already a big fan, and open to ideas to better achieve the look. 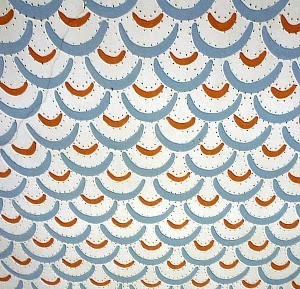 The best ideas always come from the original Morris material. 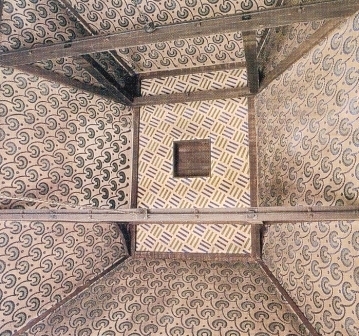 These 3 photos are all of the Red House painted ceilings. They would be relatively straight forward to reproduce on your own bathroom ceiling. 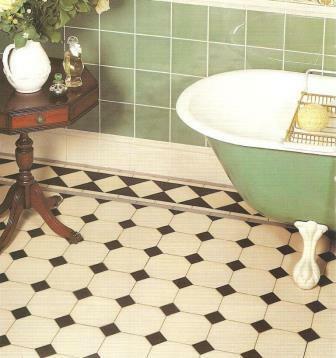 The floor finish is an important consideration for a new bathroom, not just for looks but the practicality as well. 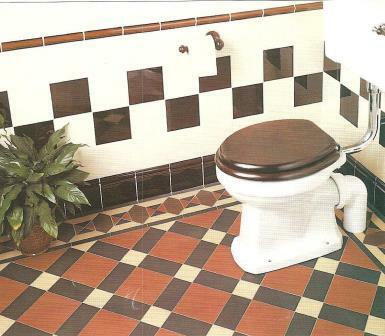 Shown above are some encaustic floor tiles which would be suitable for a Morris style bathroom. 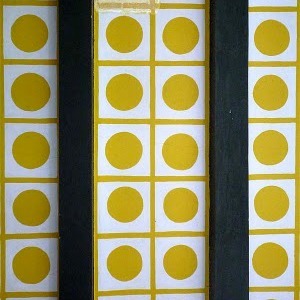 They come in a wide range of colours, generally with a matt finish. They sprung originally from the Gothic Revival Movement, as did Morris. Even better with underfloor heating. If you're looking for something plainer, less fussy for the floor, there are a few things you could use. 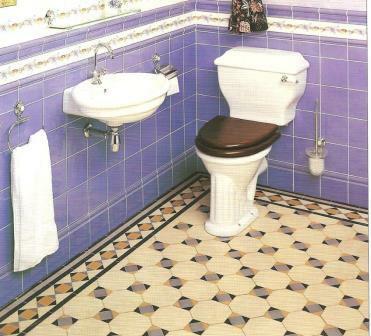 An Oak / wood floor would be very suitable, so long as suitable for a bathroom. Or maybe natural stone, such as slate or a limestone? These materials can also be picked up with worktops, window cills, etc.